Modern agriculture has taught us how to use up our land. MacArthur Fellow, David Montgomery shares thriving examples of how regenerative farming can bring it back and, in the process, increase food production and slow climate change. After any of the many colorful chapters, it will no longer be just dirt you see but a key ingredient in our regenerative future. Help us dig into this healthy topic in our on-going journey to make a more sustainable future. Book is available from Firefly in Kutztown, your intrepid local book-store, or on-line. 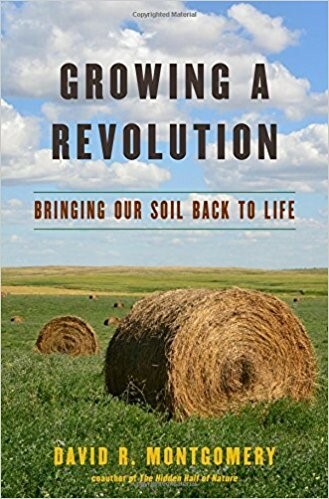 For related nourishment, join us to hear one of the widely quoted subjects in the book, Dr. Kristine Nichols, talk in person about the Agricultural Imperative at the August 28, MAREA monthly meeting at TEKPark in Breinigsville.